Time to talk about my reading goals for 2017! My plans are not dramatically different from past years, but I’m tweaking things to work better and trying to be ambitious in what I achieve. However, I am trying to be mindful of doing this in ways that are within reach given I’m heading into my final year of my midwifery degree. Reading is one of the things I do for self-care and stress relief – even when in semester I’ll still read for pleasure. I also find I get a bit stressed and lonely, so I’ve found that joining in with bookclubs and challenges can often be helpful for feeling connected and involved in social things, without having to use up a lot of energy to leave the house. Once again, 75 books seems to be the right length to aim for – I did do a little better than that in 2016, but some were shorter reads, plus it’s my final study year so I will probably be busier than previous years. Also, as with all goals this is something to aim for and give me a bit of a challenge to enjoy, it’s not about beating myself with sticks. I’m quite determined to maintain this outlook with all my goal-setting because it has to work for me, not against me. In general I want to continue reading and reviewing, I am loving seeing the number of my reviews grow – both here and on Goodreads. 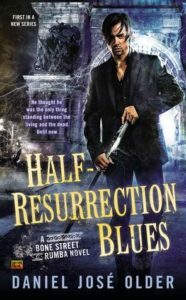 Plus, I want to continue to review and promote new books when I can get advance copies, particularly for indie publishers. 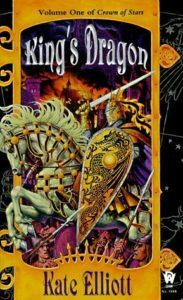 Additionally, I am hoping to get back to doing some of my Retro Fiction Review Series for older books that could use a boost in attention. There are so many books being published that it’s easy for some great books to be overlooked and I’d like to draw some attention to ones I think deserve some more love. As far as the time frame for ‘retro’, I’m thinking books published prior to 2000. This is the reading challenge that I’ve participated in the longest, and I love it as much now as the first time I got to join in. This year I’m pledging to read and review 15 books by Australian Women Writers. As part of that challenge I’m also trying to improve on the diversity in my reading to include women who are queer, Indigenous women and women from different cultural backgrounds and experiences to myself as a white Australian person. This is a great challenge to take on because you can set your own level of participation. You can nominate to read and review, or if you don’t want to review that’s fine too! 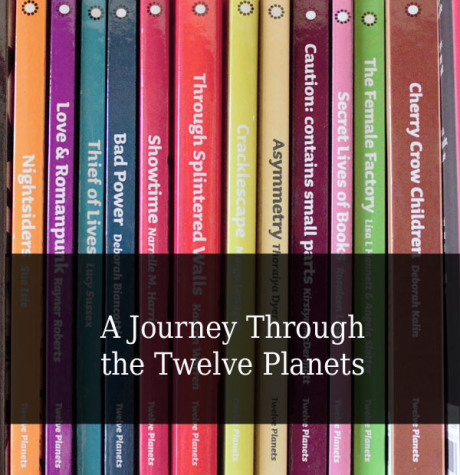 This year there is a specific focus on drawing attention to Australian Women Writers who come from diverse backgrounds, but also to raise the profile of some Classics by Australian women. There’s already quite a lot of excited discussion about this focus, with the nominal definition of ‘classic’ being written at least 30 years ago and being significant at the time it was published, or to have had a lasting profile/impact in Australia or a region. I’m not taking on the Classics focus for my challenge but as a long time fan of Elyne Mitchell’s Silver Brumby books, I am hoping lots of other people fall in love with these – and maybe I’ll pick up the subsequent books to reread, it’s been a long time and I’m probably overdue to reread. 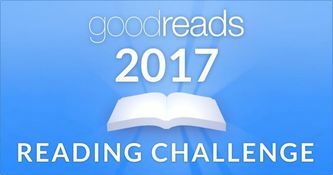 Genre Bing0 2017 Reading Challenge – get as many squares or ‘bingos’. I will probably do some kind of separate post at some stage with my card. Modern Mrs Darcy Challenge – a series of qualities to check off for books you read like a book you picked for the cover and so on. It’s cute! 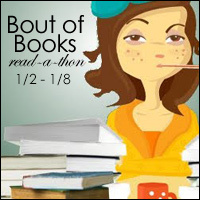 For the first time ever I’m participating in the Bout of Books reading marathon – it’s an easy going challenge that is purely about encouraging you to read a bit more than you’d already planned that week. I like the tag line that says ‘I was planning to read this week anyway’ because, that’s true. And now this week I get to enjoy the company of a bunch of other people who are also participating – it’s rather lovely to be involved in all the twitter loveliness. You can read my progress post for Bout of Books 18 where I’m keeping a record of what I’m reading, how much and also of the challenges I’ve participated in. As part of my ongoing desire to improve on how diverse my reading is, particularly in intersectional ways where I’m privileged, I’m using this challenge to be a background reminder for me for the reading I was going to be doing anyway. Despite the name, it’s about reviewing and promoting works by marginalised authors as well as works that feature marginalised characters. Intersections with queerness and disability and whiteness, gender and a few other elements are the focus. I’m not going to lie, the art is definitely one of the reasons I was drawn to this particular challenge. How pretty is the button? 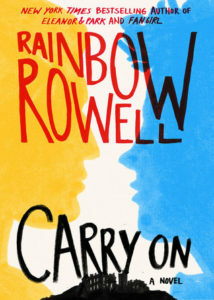 I still want to participate in some of the other bookclubs that I’ve enjoyed, like the Sword and Laser Bookclub, the Vaginal Fantasy Bookclub and I’ve also been participating in the readalong with the Magical Space Pussycats podcast. 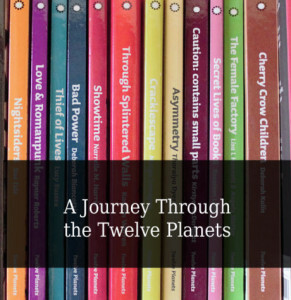 I’m also hoping that Tansy Rayner Roberts’ Inky Valkyrie bookclub gets up and running (if you were looking for an awesome patreon with excellent speculative fiction content to sponsor, her’s is a good one). Steph and I started this last year, we got half way through the year all on time and so on and then the mid-year just hit us both really hard. Plus, I was in the midst of a very busy semester and am not a horror reader at the best of times, so it took me a lot longer to get through Kaaron Warren’s Through Splintered Walls than I had anticipated, I expect Cracklescape by Margo Lanagan will be a similar story (but it will also be worth it I am certain). The aim is to finish the final six books in the challenge in 2017 and I am looking forward to it and that we’ve got the whole year to do it in. That’s what I have so far, and hopefully I’ll exceed expectations in these goals I’ve taken on! I hope to report on how I’m tracking sometime around mid-year, but we’ll see how that goes (it’s a very busy time of the year for me study-wise so I may be dreaming that I’ll get the blogging time then). Who doesn’t like a good list? I love lists! And December is a listy time of year! Stay tuned for more lists, reflections and round ups. In the meantime, here’s a new thing I’m going to join in with periodically, #T5W or Top 5 Wednesday – book and reading related prompts (sometimes with other media). This list is of 5 books I’m determined to read in 2017. I’ve just joined this lovely Goodreads Group for Top 5 Wednesday, or #T5W, where there are topics that you can post about every Wednesday. This post is belated for December 7th, but I am so interested in the topic that I’m making it my first post even if belated. 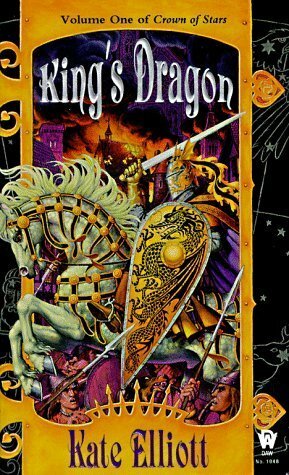 Kate Elliott is one of those authors where given that my introduction to speculative fiction was through epic fantasy, I have no idea why I haven’t devoured everything she’s ever written. I have a strong desire to address this defecit in my reading history, so I’m determined that in 2017 I will start on my Kate Elliott backlog. I expect that Renay of Fangirl Happy Hour and Lady Business will be especially happy knowing that the time where I too will read (and probably love) Black Wolves is visible in the distance. This has been on my to-read list for quite a while. I’ve seen a few things that Older has written on the internet and appreciated them, so he’s definitely someone I want to support. 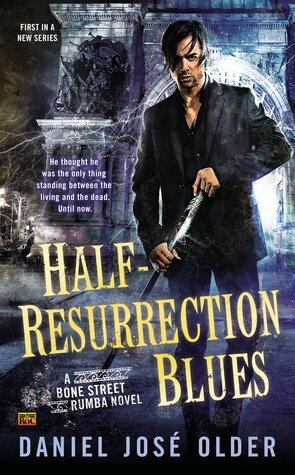 Also, his fiction sounds like it’s right up my alley – I am such a fan of urban fantasy. I’ve also heard really good things from others about how great this book is so I’m determined to get to it in 2017. This book has come to me as a rec from both Galactic Sububia (I think it was Tansy who raved about this one? ), plus Renay of Fangirl Happy Hour and Lady Business also fangirled about this hard. It sounds fun and cute and a nice play on fanfiction and I’m so up for that. Rowell’s books have been rec’d to me from a bunch of places, but this one in particular has my attention to read first (and if there’s a different one I should read first, please tell me int he comments, I care about these things!). I expect this is also the kind of delightful fun read that will be good for being in my third year of my midwifery degree. I’m a fan of the Book Smugglers, and what I’ve read from their published works I’ve universally enjoyed. I’m intrigued by a super hero novel that is a dystopian science fiction novel as well. 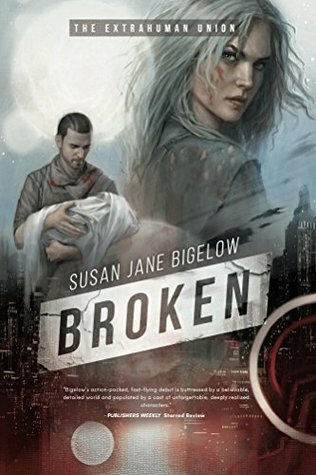 I am also a sucker for books that are loved and rescued by an indie press in order to publish the last book in a series, I’m so glad for Bigelow that this happened for her, an unfinished series is the saddest thing! I’ve gotten to read some brilliant and beloved books this way, so I can’t help but be optimistic! This is the only non-speculative fiction book on my ‘must read in 2017’ list. But since I’m about to go into my last year training to be a midwife, it’s probably not at all a surprising pick! 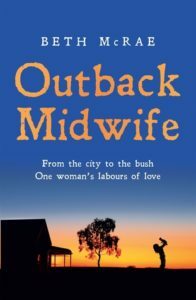 I’ve heard good things about this book generally and I am drawn to midwives telling stories about the work they do and those whose lives they affect. I’m interested in all the ways in which midwifery is or can be culturally situated. Honestly if someone wants to hand me a book about fantastical or science fictional midwifery I promise you, I am SO THERE. In the mean time, a book about a midwife in the outback rounds out my list of five. I should point out that this list was hard to compose, just five things is very hard when your ‘to read’ list is sitting at nearly 850 after all. I really think I need to go through and do some culling, I’m certain that not all the books I’ve added there I still want to read. On that note, feel free to tell me what else from my ‘to read’ list I should prioritise rather than allowing it to continue languishing. 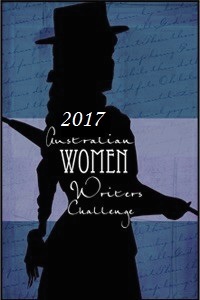 In past years, I’ve concentrated mainly on my commitment to read for the Australian Women Writers Challenge. This year I have some extra reading goals in mind. The goals I’ve listed may be on the ambitious side given I am studying full time, but I am invested in making a solid attempt. 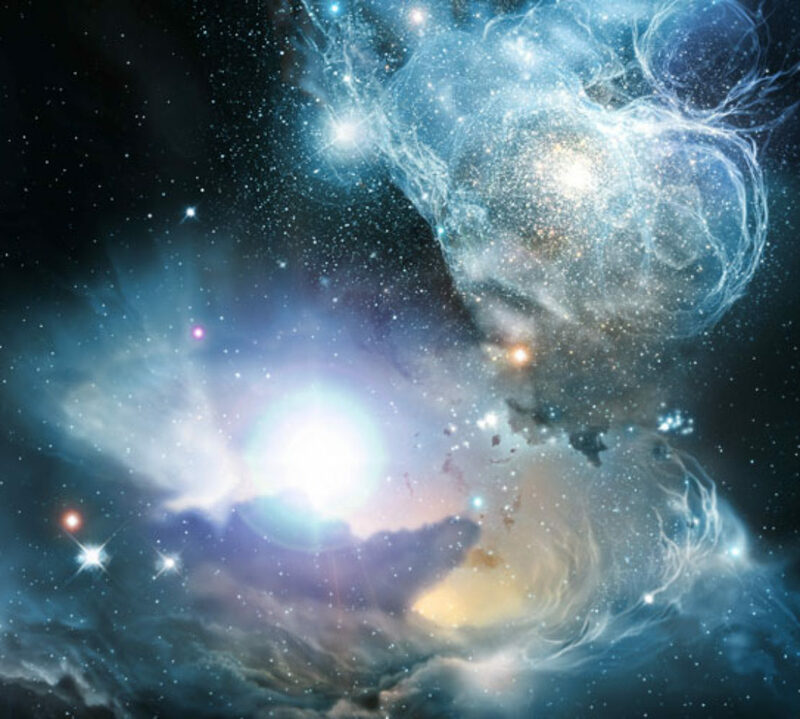 I am an avid reader and I really enjoy it – I have done since I learned to read. However, I’ve been studying so consistently in recent years that my fiction reading has been at very low levels for me. I wonder what it will look like when I’m not studying at university any more! Right now I’m pleased to get through 75 books in a year, and before I was studying I’d easily go through that in a couple of months. As for my preferences in reading, I’m still mostly intent on reading in the arena of speculative fiction, and I continue to have fairly broad taste in that area. That said, as time goes on there are definitely specific hooks that really attract me. I am strongly motivated by female characters, also characters with a diverse gender background, diverse sexuality or relationship choices. I want to actively read more fiction by authors who are non-white, particularly Indigenous Australians works – especially speculative ones. I enjoy certain kinds of non-fiction, such as books to do with cultural studies or midwifery as well as some biographies/autobiographies, but that depends heavily on who the book is about. Complete my Goodreads reading goal of 75 books. This is the same number from last year – it seemed to be exactly right as a number while I’m studying so intensely. 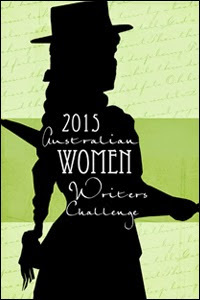 Complete the Australian Women Writers Challenge at the Miles level, to read at least 6 books and review at least 4. Increase the number of books by Indigenous Australian authors that I read, and review these books. Read at least 10 books by authors from other various non-white backgrounds and ethnicities and review at least 5 of those. Participate in the Escape Club YA Bookclub on Goodreads by reading the books I’m interested in and participating in the discussion. Track the reading I do for my academic studies in Midwifery both books and articles. Also, try and write at least 3 blog posts per semester about my studies and the readings. Publish a list of all the academic articles I read for my study in 2015. Unpack my books and read at least 5 of the books I inherited from my best friend and haven’t picked up to read yet. This is not a small amount of goals, but I think they’re worthwhile aims. I have a huge list of books I want to read in Goodreads so I shall do my best to make good use of that list! Also the books in my closet that I haven’t been able to unpack yet for lack of a bookcase, I really want to get that sorted out so I can pick up those books that are completely new to me – especially since I’ve been meaning to read them for so long!